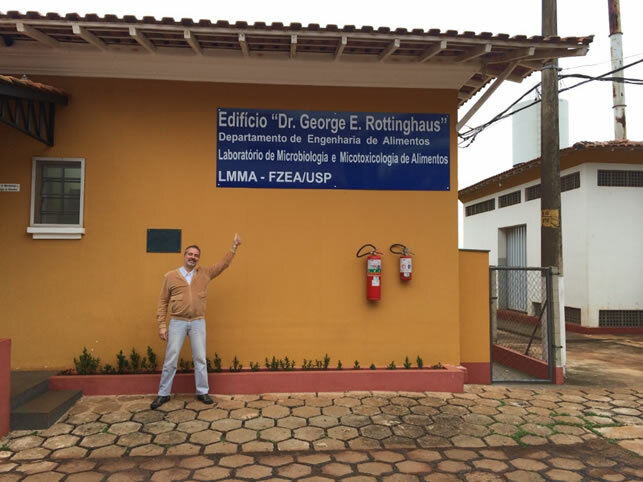 Colleague Carlos Augusto Oliveira, PhD, MPH, reveals new signage for the George E. Rottinghaus Laboratory of Microbiology and Food Mycotoxicology, Department of Food Engineering, at the University of Sao Paulo—Pirassununga. The building was named in honor of Rottinghaus in 2014. George E. Rottinghaus, a clinical professor in the Department of Biomedical Sciences at MU’s College of Veterinary Medicine (CVM), received the 2017 MU International Engagement Award, an honor that recognizes outstanding MU faculty, staff and students for work with an international impact. 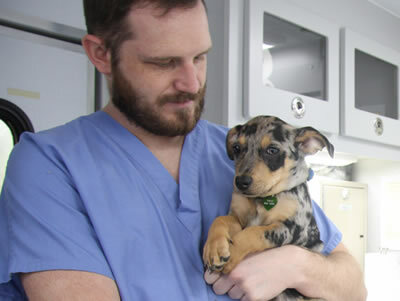 Rottinghaus, PhD, is an analytical chemist and clinical professor of toxicology who performs research at the CVM’s Veterinary Medical Diagnostic Laboratory (VMDL). Shuping Zhang, director of the VMDL and a professor of veterinary pathobiology, nominated Rottinghaus for the award. Rottinghaus has trained visiting scholars from Ethiopia, Guyana, India, Mozambique, Nigeria, Serbia, South Africa, South Korea and Spain in his laboratory. The list of international universities and institutes that collaborate with Rottinghaus on research projects is nearly as long. He has traveled to many of those countries, plus Costa Rica, Mexico, the Netherlands and New Zealand to teach, research, help with grants and establish working relationships. The measure of Rottinghaus’ international respect is perhaps greatest in Brazil, particularly with colleague Carlos Augusto Oliveira and the University of Sao Paulo (USP) campus in Pirassununga. In addition to his duties at MU’s CVM, Rottinghaus is an adjunct professor in the Department of Food Engineering (FZEA) at USP–Pirassununga. Since 2014, the department’s research facilities have carried Rottinghaus’ name, in tribute to his commitment to collaborative research and teaching, and his impact on mycotoxin research. Rottinghaus’ field is toxicology and his focus is mycotoxins, toxic metabolites produced by organisms of the fungus kingdom. They are capable of causing disease and death in humans and animals. The term mycotoxin is usually reserved for the toxic chemical products produced by fungi that readily colonize crops. “During my PhD at Iowa State, I worked with natural products, isolating compounds from plants, that sort of stuff, so the mycotoxins were kind of the same thing,” Rottinghaus says. “They are a little different organism, but these mycotoxins are natural products. I did a post-doc in toxicology at the Iowa State Vet School, which is exactly the same thing I have here, in the diagnostic lab in toxicology. The Rottinghaus lab staff lunches together every Wednesday at a different eatery. During his years at MU, Rottinghaus has developed a collegial relationship with David Ledoux, an emeritus professor of animal nutrition at MU’s Animal Science Research Center. Rottinghaus teaches a graduate course on Methods for Mycotoxin Analysis of Foods every other year in Brazil. He co-teaches the course with Oliveira and gives additional lectures in the Animal Science Department and the Veterinary School as part of a separate mycotoxin course offered by Ledoux. Rottinghaus also offers training and expertise to graduate students working in the mycotoxin research area under Oliveria and Professors Andrezza Fernandez and Carlos Corasin. He is a major contributor to a three-year grant led by Oliveira. Another key difference between higher education in the U.S. and in Brazil paved the way for close collaboration between Rottinghaus and his peers in Pirassununga. 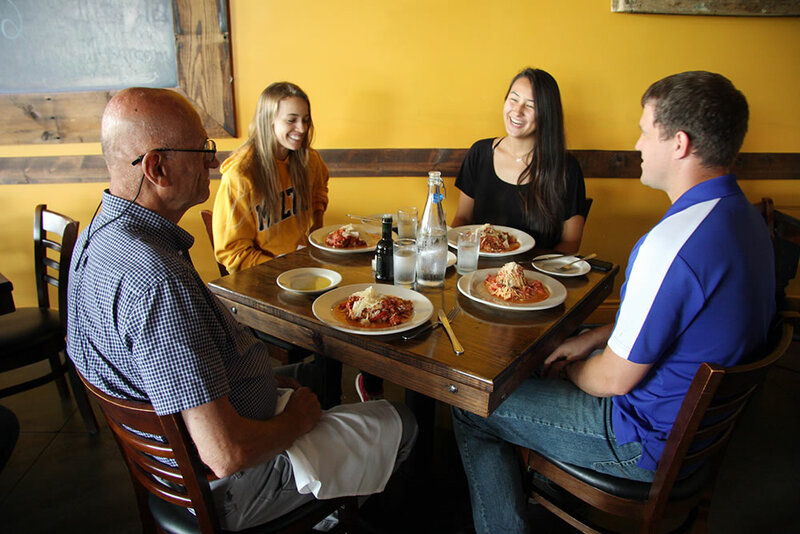 Some of the students go to Europe for internships, but many come to the U.S. Students in the Department of Food Engineering often find internships at food companies, but they can also work in a research lab to fulfill their requirement. During the past 10 years, Rottinghaus has worked with a total of 40 students from USP-Pirassununga. The most recent of the visiting scholars are graduate student Larissa Tuanny Franco and undergraduate Amanda Chan Cirelli. Franco first came here as an undergraduate for a six-month internship. Cirelli is heading to the University of California-Davis for a research internship, then will return to Brazil in December to finish her degree. “My plan is to come back and do my grad school here,” she says. When the inevitable question of “why mycotoxins?” comes up, Cirelli is succinct. “Most people who work with chickens, pigs or cows know about mycotoxins,” Franco explains. “Most other people have no idea. In Brazil, I went to a lot of farms that plant corn. There are a lot of mycotoxins in corn, but many of the people who work on the farms have no idea about mycotoxins. “Industry farms out a lot of work to the university,” Rottinghaus says. “Why have your own animal trials that run three months, and then have nothing to do for the facilities or the people who work there for the other nine months? So, they bring their project to the university. That’s what I do with my equipment. Other people here on campus, other campuses around the U.S., and other institutions around the world send samples here. Rottinghaus advises that care must be taken with the internships. “Some companies bring people in for 12 months, don’t pay them anything and really work them,” he says. “That’s not what these programs were set up to do, but you could easily take advantage of the situation and get free labor. Rottinghaus with visiting scholars Larissa Franco (left) and Amanda Chan Cirelli. 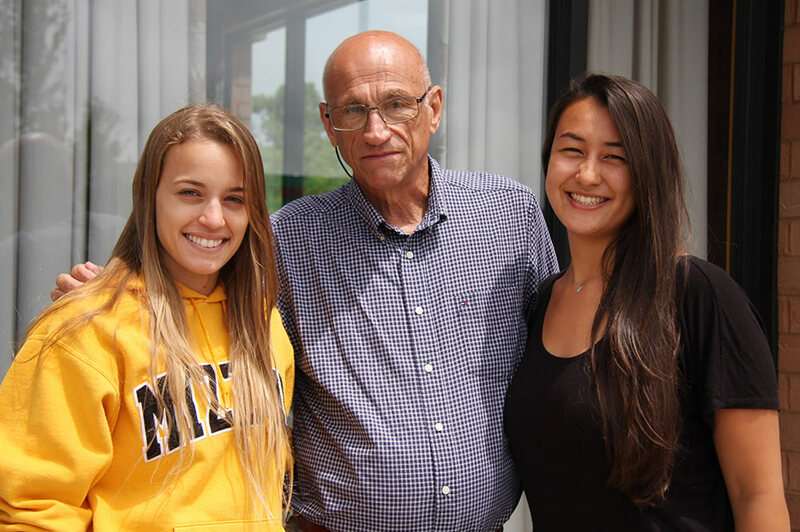 The Brazilian students recently completed six-month internships in the Rottinghaus lab. In return for their hard work, Rottinghaus gives the international students plenty of time off to explore their temporary home. “I take them to the outlet mall at the Lake of the Ozarks,” Rottinghaus says. “We get down there at 9 a.m., and at 5 p.m. they’re still not ready to go. Those red benches become my home down there. “He’s your boss, he’s your friend, and he’s like your dad,” Franco adds. “Even the parents call me ‘Dad’,” Rottinghaus beams.